Product Category: Fuel System ::: Turbochargers ::: Turbocharger Misc. We provide the quality Newly Manufactured Turbochargers, VW TDI Engine 260 USD$, Audi A4, VW Passat 1.8T, Daewoo DE12Ti Engine 192 USD$, Honda Vetec is 165 USD$, 7.3L Ford 230 USD$, Ford Transit 2.5 TDI, GM-6, Mitsubishi Lancer, Opel, Mercedes Benz OM422 and OM442 179 USD$, OM355 and OM356 215USD$, GT30 and GT35 are 315 USD$, GT42 and GT45 are 350 USD$. 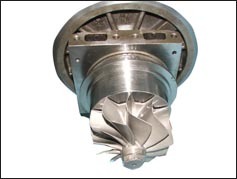 we have many types of turbo, see photos, thanks!